Four U.S. senators backed by two House representatives and several major tech companies this week reintroduced a bill whose goal is to improve the security of Internet of Things (IoT) devices. 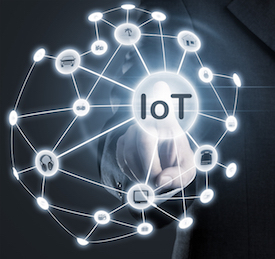 Senators Mark R. Warner (D-VA), Cory Gardner (R-CO), Maggie Hassan (D-NH) and Steve Daines (R-MT), along with representatives Robin Kelly (D-IL) and Will Hurd (R-TX) have introduced the IoT Cybersecurity Improvement Act of 2019. The same senators introduced a similar bill in 2017, but it did not make it very far. The new bipartisan legislation would require the National Institute of Standards and Technology (NIST) to issue recommendations addressing the secure development, identity management, patching, and configuration of IoT devices. It would also direct the Office of Management and Budget (OMB) to issue guidelines consistent with the NIST recommendations for each federal agency, and require agencies to ensure that the Internet-connected devices they acquire comply with these recommendations. The bill also aims to improve the way vulnerabilities found in IoT devices are reported to the vendor and addressed. The list of companies that supports this bill includes The Software Alliance (BSA), Symantec, Mozilla, Cloudflare, Rapid7, CTIA and Tenable. Cryptography expert Bruce Schneier, and representatives of Stanford University and Harvard University’s Berkman Klein Center for Internet & Society have also shown support for the bill. “The proliferation of insecure Internet-connected devices presents an enormous security challenge. The risks are no longer solely about data; they affect flesh and steel. The market is not going to provide security on its own, because there is no incentive for buyers or sellers to act in anything but their self-interests. I applaud Senator Warner and his cosponsors for nudging the market in the right direction by establishing thorough, yet flexible, security requirements for connected devices purchased by the government,” Bruce Schneier said. NIST has been working on a publication titled “Considerations for Managing Internet of Things (IoT) Cybersecurity and Privacy Risks,” which was open for public comments until October 2018. It’s also worth noting that the European Telecommunications Standards Institute (ETSI) recently published a new IoT cybersecurity standard. The U.S. state of California already has an IoT cybersecurity law, which its governor signed in October 2018 and should go into effect on January 1, 2020. The law requires manufacturers of Internet-connected devices to ensure that their products have “reasonable security features” that can protect sensitive customer information from unauthorized access.